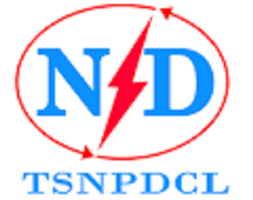 TSNPDCL JAO Recruitment 2018: The Northern Power Distribution Company of Telangana Limited has announced Junior Accounts Officer Recruitment Notification, Eligible candidates can Apply Online For 107 Vacancies at tsnpdcl.cgg.gov.in. Applications are invited On-line from qualified candidates through proforma application to be made available on http://tsnpdcl.cgg.gov.in website to the post of Junior Accounts Officer. * (The details of vacancies Community-wise and Gender wise (General/Woman) may be seen at Annexure-I). IMPORTANT NOTE: The number of vacancies are subject to variation at the time of recruitment. (i) Applicants must possess the qualifications from a recognized Institution / Board as detailed below or equivalent thereto, as specified in the relevant Rules of TSNPDCL as on the date of Notification. AGE: Minimum 18 years and maximum 44 years. The age is reckoned as on 01.01.2018. FEE: (Remittance of fee) Each applicant must pay Rs.100/- (Rupees One Hundred only) towards Online Application Processing Fee. This apart, the applicants have to pay Rs.120/- (Rupees One hundred and twenty only) towards Examination Fee. However, the Applicants belonging to SC/ST/BC Communities and PH are exempted from payment of examination fee. Mode of Payment of fee: Candidate has to visit the website http://tsnpdcl.cgg.gov.in to view the detailed notification and User Guide. The fee mentioned at Para- I (5)(a) is to be paid online by visiting the website and click on the link MAKE PAYMENT in the website duly following online instructions. After payment of Fee, the Candidate has to logon to the website http://www.tsnpdcl.in and click on APPLY ONLINE link or directly visit http://tsnpdcl.cgg.gov.in to view the detailed notification, User Guide and Application Form. The applicants have to invariably fill all the relevant fields in the Application. Immediately on submission of application the Applicant will get an acknowledgement in the form of a downloadable pdf document. CENTRES FOR THE WRITTEN EXAMINATION: The written examination for recruitment of Junior Accounts Officer(JAO) will be held at different centers located in the GHMC area of Hyderabad & GWMC area of Warangal. I Step:- Payment of Fee: The Applicant should pay the prescribed Fee as per the notificationas detailed above and obtain Fee paid receipt with Journal Number (12 digit) in the first instance. II Step:- Submission of Application: After payment of Fee, the Candidate has to visit the website http://tsnpdcl.cgg.gov.in to view the detailed notification, User Guide and Application Form. The applicants have to provide payment details (journal number and date) and upload the scanned copy of passport size photograph with signature (see instructions for scanning and uploading photograph with signature) and then invariably fill all the relevant fields in the Application. Immediately on submission of application, applicant will get an acknowledgement in the form of a downloadable pdf document. hello sir i'm sahith from warangal submit application is not open ! how can apply dis anyanother option plesase tell sir me ! I am Shivani I had passed degree with 63percentage will I eligible for this job or not sir please I want to know. Sir I am from Tamil Nadu. I have completed M.com with 82%. May I eligible for this ? Sir Delhi wale bhar Sakte hah?? Nd Mene CMA inter ki h with 53% can I eligible for this exam?